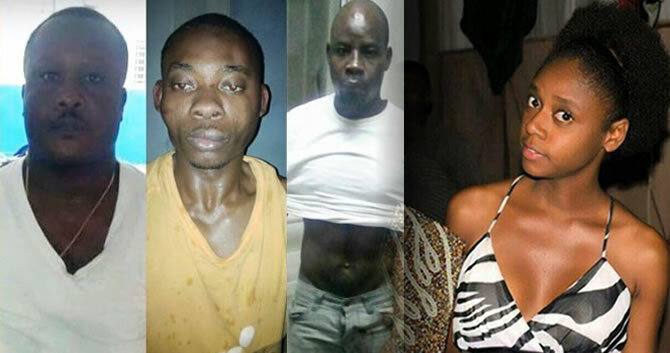 The officers from the Central Directorate of Judicial Police (DCPJ) have arrested four suspected kidnappers and murderers of Lencie S. Mirville, on the night of December 19. Lencie Mirville (23 years), a student of the University Quisqueya was kidnapped on December 3rd in Bizoton 51. Despite paying the ransom ($50,000) by her father, the girl's body was found on December 8th, disfigured and wrapped in a sheet at the bottom of a cliff in Morne Karaté. The four persons arrested in this connection by the police are: Desir Jebson aka "Sonson" or "Lapoula", (28 years), Barthelemy Edison (32 years), Jean Francky (42), and William B. Géraldy. The criminals have confessed their crime and the police have confiscated the car used in the kidnapping. One of the kidnappers, "Sonson" was an employee (car mechanic) of the victim's father, who is a pastor. The pastor never realized that "Sonson" was one of the kidnappers. The pastor had given him the ransom money to deliver the kidnappers. "Sonson", the killer of Lencie, to show his innocence, was present during the young girl's funeral and carried her coffin. 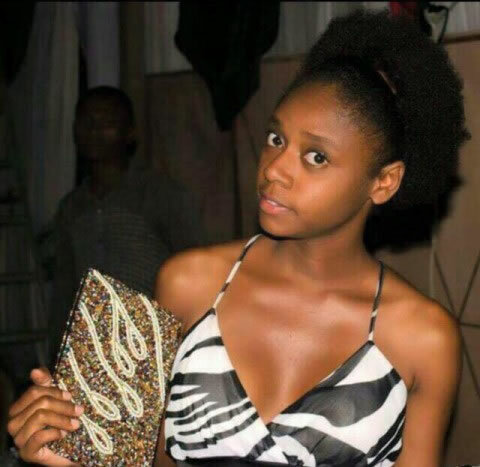 On December 19, 2015, the Central Directorate of Judicial Police (DCPJ) have arrested 4 individuals in connection with the kidnapping and murder of Lencie Mirville (23 years), a student of the University Quisqueya. Lencie was kidnapped on December 3rd in Bizoton 51. Her father is the owner of Bureau de change located in Carrefour. The kidnappers claimed $150,000 from him as ransom. However, her family managed to collect and pay only $50,000. The body of Lencie was found on December 8th, disfigured and wrapped in a sheet at the bottom of a cliff in Morne Karaté. The four persons arrested in this connection by the police are: Desir Jebson aka "Sonson" or "Lapoula", (28 years), Jean Francky (42), Barthelemy Edison (32 years), and William B. Géraldy. The police have also confiscated the car in which Lencie Mirville was kidnapped. The four individuals have confessed their crime. One of the kidnappers, "Sonson" was an employee of the victim's father. On the basis of his alleged loyalty to the young girl's family, Lencie's father had given him the ransom money to deliver the kidnappers. The girl's father, a pastor, never realized that "Sonson" was one of the kidnappers. "Sonson", the killer of Lencie, was even present during the young girl's funeral and carried her coffin. Lencie S. Mirville (23-year old), a student of the University Quisqueya was brutally killed by some kidnappers. Her dead body was found on December 8th, disfigured and wrapped in a sheet at the bottom of a cliff in a gully in Morne Karaté, near the road of L'amitié (Southeast). The young student was kidnapped on December 3rd in Bizoton 51. Her father is the owner of Bureau de change located in Carrefour. The kidnappers claimed $150,000 from him as ransom. However, her family managed to collect and pay only $50,000. Lencie was tortured, and then killed after the funds were delivered. As per latest news (December 21), the police (PNH) have arrested 4 individuals involved in the case of the kidnapping and murder of Lencie Mirville. One of them is an employee (mechanic) of the victim's father. They are St Jean Mayson aka "Sonson" or "Lapoula", William B. Geraldy, Edyson Barthélemy "Big" and Guerrier Jean Francky. They have past criminal records in the police book and have confessed their crime.